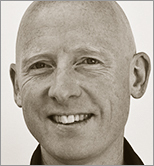 Peter Morville draws from his new book, Intertwingled, to reveal how everything is connected from code to culture. "The reader will find Ambient Findability loose in its definitions but rich in ideas about creating online visibility: how to stand and be found." "Search Patterns is an absolutely outstanding book. I dont get excited about search-related books very often but this one totally captivated me." "Any library strong in web design must have this search-specific reference." "...I'd recommend this book to anyone wanting to know more about search and especially more about how to design could search interfaces." "It's an excellent, must-read book for the user experience community." "This book is a monumental achievement. The authors have provided a guidebook to a largely unexplored and immensely important territory. Reading it requires attention, effort, and exploration." "Not only is this a fun book to read, but it is really useful, particularly in communicating about both the conceptual and nuts-and-bolts aspects of search design.building for people... For the beginner interested in learning how to build search, Search Patterns is an excellent introduction. " "This book makes a good job in cataloging and exploring a wide range of search applications...Its writing style is quite smart and easy to follow, and the book also succeeds to keep a good equilibrium between textual and visual contributions." "I love this book! Thanks to Peter and Jeffery, I now know that search (yes, boring old yucky who cares search) is one of the coolest ways around of looking at the world. " "Search Patterns is a delight to read -- very thoughtful and thought provoking. It's the most comprehensive survey of designing effective search experiences I've seen. " "Search Patterns is a fabulous must-have book! Inside, you'll learn the why's and where's of practically every modern search design trick and technique. " "As one who searches a lot (and often ends up frustrated), Search Patterns is a revelation. " "Search is swiftly transforming everything we know, yet people don't understand how mavens design search: by stacking breadcrumbs, scenting widgets, and keeping eyeballs on the engine. I urge you to put your eyeballs on this unique and important book. " "It's not often I come across a book that asks profound questions about a fundamental human activity, and then proceeds to answer those questions with practical observations and suggestions. Search Patterns is an expedition into the heart of the web and human cognition, and for me it was a delightful journey that delivered scores of insights. " "Search Patterns is a playful guide to the practical concerns of search interface design. It contains a bonanza of screenshots and illustrations that capture the best of todays design practices and presents a fresh perspective on the broader role of search and discovery. " "From start to finish, this book is easy to read, at times even deceptively so. Thanks to the authors efforts, the book is casual yet so thoughtful at the same time. It is apparent that Morville completed a lot of up-front work to establish a strong structure. Because he is an accomplished writer, the structure never dominates, but its always there below the surface. The chapters move in a logical sequence and with good rhythm from Morvilles opening statements, through a host of data, theory, and discussion, to a compelling (but somewhat open-ended) finish. Through it all, it is clear that Morville respects his reader. This book is a conversation with a colleague, not a lecture from an ivory tower. I highly recommend not just reading this book, but taking some time to reflect on it. If Morville can help us to look before we leap into this brave new convergent world, he has made an important contribution indeed."